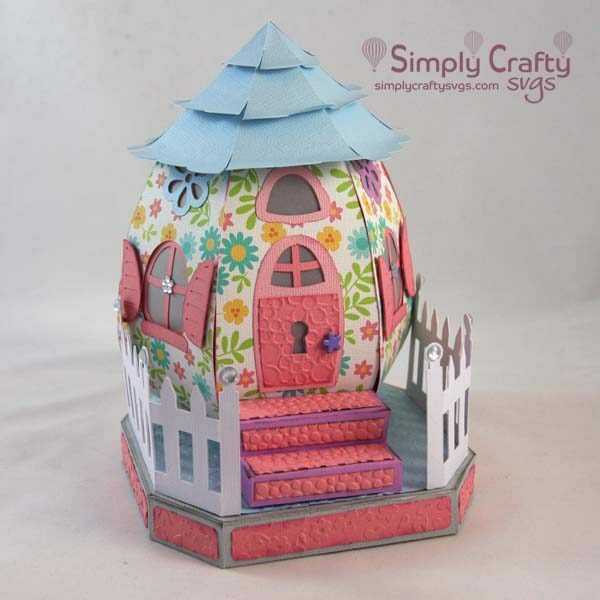 Make this egg-shaped house for Spring or Easter. Lift to reveal a small gift or hold a battery-operated candle. 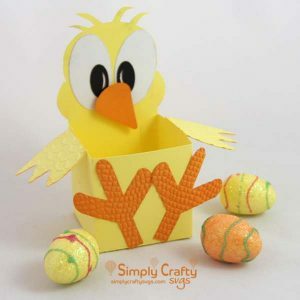 Make this 3D Egg-shaped house for Easter or Spring with the 3D Spring Egg-Centric House SVG File. It could also be used as a gift for any other occasion. House lifts to insert battery-operated candle or small gift. During the day, it is a whimsical and colorful house. During the evening, turn on a battery-operated candle to illuminate the in doors, windows, and flowers. Finished size of house is @ 5.6” x 6.7” x 8.5” high. See details below on cardstock used on this project.